While the U.S. may be the home of the blues, there are plenty of Australians appreciate the spirit of the music and plenty of them with be heading to the Byron Bay Bluesfest this coming Easter. This year is particularly special as it marks the 25th anniversary of the festival and the 5th anniversary of its move to its now permanent home at Tyagarah Tee Tree Farm. The name should be taken literally as most of the year, the farm is full of the gorgeous minty scent of one of Australia’s best-loved products. 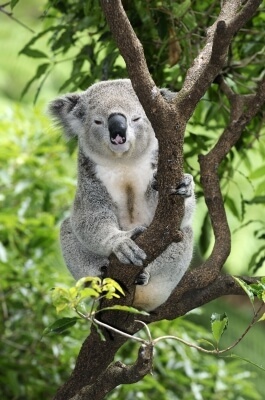 There are also plenty of Eucalyptus trees in the vicinity, which means that visitors have the chance to see one of the country’s most popular icons, the koala, in the wild. The festival takes its responsibility to the environment in general and the protection of koalas in particular, very seriously and actively encourages visitors to be aware of their behaviour and its impact. The organizers see this as part of their commitment to promoting the values of co-operation and social justice, which is at the heart of blues music. Those interested in visiting Australia to take in the event (or at any other time) will probably find it most harmonious to enlist the help of a professional NAATI translator.